Not in the usual sense. I'm talking about the more verminous kind; tiny rodents who take up residence in the skirting boards and urinate all over the place. Lovely. Here is my ultimate solution. The mice don't actually go in them. Just sniff the entrance and then walk around. They don't trigger. 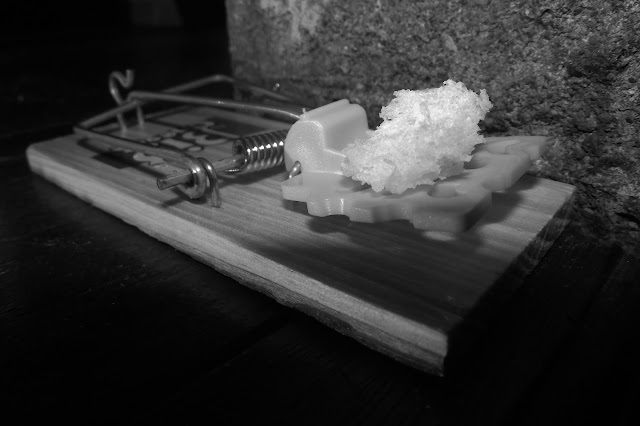 I've sat and watched a mouse walk into a trap and come back out with the bait. The mice can get back out again. Again, I've witnessed a mouse be able to squeeze back out, although without the bait that time. One thing I make sure of is that the springs are good and strong. Nothing worse than a trap going off and not actually finishing the job. I always get good quality, and thus far kill traps are winning at a rate of about 75 to 1.